As one of the most stable, prosperous post-Communist states, the Czech Republic has avoided the worst of the credit crunch—essentially because the country’s privatized banks have a strong deposit base and robust capitalization. Growth has come principally from exports, tourism and foreign investment. However, similar to other countries, its export dependency on the Eurozone has constrained performance. While there are some risks, the risks are counterbalanced by plenty of opportunity. 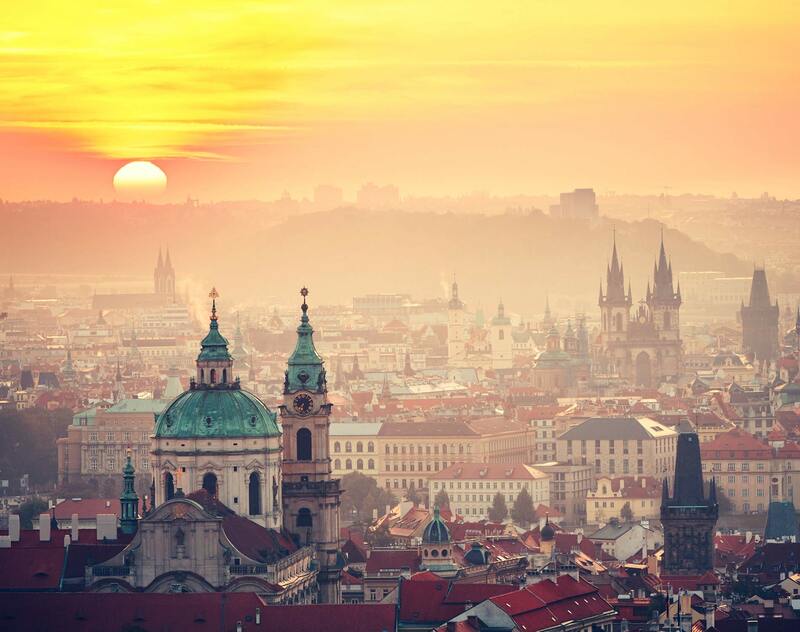 With Dentons as your partner you will benefit from a firm with well-established roots in the Czech market, spanning two decades. When you work with our Prague office you have access to top-tier, experienced partners who assist with a range of legal services, including cost-effective advice on domestic matters, sophisticated solutions on cross-border transactions or disputes, and opportunities involving foreign investment and joint ventures. If you are looking for additional support in the Slovak Republic then look to us. A number of our lawyers are dual–qualified, enabling you to do business in both countries more easily. When it comes to language we have you covered; our lawyers are fluent in English, Czech, German and Slovak. Work with Dentons and make your life easier. Česká exportní banka, a.s.: Advising on the restructuring of a €38,5 million loan facility provided to a Russian container glass manufacturer for the purpose of financing supplies of glass production equipment from Czech producer Sklostroj Turnov CZ, s.r.o. The loan was insured by Czech export credit agency (EGAP). The project is important for the development of domestic manufacturing in the Russian glass industry and to move away from imports of value-added products. Česká Spořitelna: Advising one of the largest Czech banks and a member of Erste Group on finance documentation restructuring in relation to the acquisition of a part of the PPF portfolio of properties by Czech Property Investments. We have advised Ceská sporitelna on the Loan Market Association-based loan agreement for financing of the acquisition of 22 properties owned by nine companies by PPF from Ceská pojištovna in 2008. PPF sold part of these 22 properties to Czech Property Investments in 2011, and we advised Ceská sporitelna on the restructuring of the finance documentation in relation to that sale. Deutsche Pfandbriefbank: Advising a leading European specialist bank for real estate financing and public investment finance on the €181 million financing of 13 hypermarket-anchored shopping centers across Slovakia, the Czech Republic, and Poland. This constituted one of the biggest retail financings in Central & Eastern Europe during 2010. GLL Real Estate Partners GmbH (GLL): Advising one of the biggest global real estate funds management groups, in connection with the €308 million club refinancing of the GLL’s Accession Fund real estate portfolio consisting of 10 projects in Poland, the Czech Republic, Hungary and Romania. Komerční banka, a.s: Advising a leading Czech bank in a €247 million export credit loan to the Ministry of Transport of Azerbaijan for the financing of highway construction equipment and services related to the reconstruction of the Heydar Aliyev International Airport – Mardakan circle – Bilgah road, backed by a sovereign guarantee. ORCO Property Group: Advising a leading European property developer and investor on the restructuring of a €1.5 billion debt on its real estate portfolio with creditors based across Europe. We helped the company review legal possibilities in nine European jurisdictions and, with our advice, the company chose to use French law. Our imaginative solution employed a 'Procedure de Sauvergarde' that provided the best protection for shareholders and lenders alike. This matter demonstrated the strength of our cross-border practice groups and their ability to implement coordinated solutions across a number of jurisdictions. ORCO Property Group: Advising on US$94 million sale of the Radio Free Europe Building in Prague. Client's subsidiary sold the Radio Free Europe/Hagibor Office Building in Prague to a subsidiary of the L88 Companies, an American owned business. Starwood Capital Group: Advising on the landmark acquisition of The Park business complex comprising of 116,000 square meters across 12 office buildings in Prague. Strategic Hotels & Resorts: Advising on the sale of the Hotel Intercontinental, Praha. According to the Deal Watch Czech Republic M&A Report 2010, it was the fourth largest M&A deal in the Czech Republic in 2010. Moreover, it constituted the largest M&A deal in the hotels & leisure sector in 2010 in the Czech Republic. Tristan Capital/AEW Europe: Advising on the acquisition of an 80 per cent stake in six industrial parks owned and managed by VGP N.V., located in the Prague region. The transaction, valued at approximately €300 million, is the largest real estate investment transaction in the Czech market since 2008. We'd like to present you with the latest edition of our newsletter. We are honored to invite you to our traditional insolvency seminar organized in cooperation with the University of Economics, Prague, Faculty of Business Administration, Department of Strategy. Dentons’ Corporate and M&A team in Prague advised shareholders of VUK, spol. s.r.o. on the sale of their company to global automotive supplier Continental via a share deal. The transaction value was not disclosed.